Ever had the burning desire to spin gracefully from a rope dangling from somewhere high? Well yesterday you could have had a go. 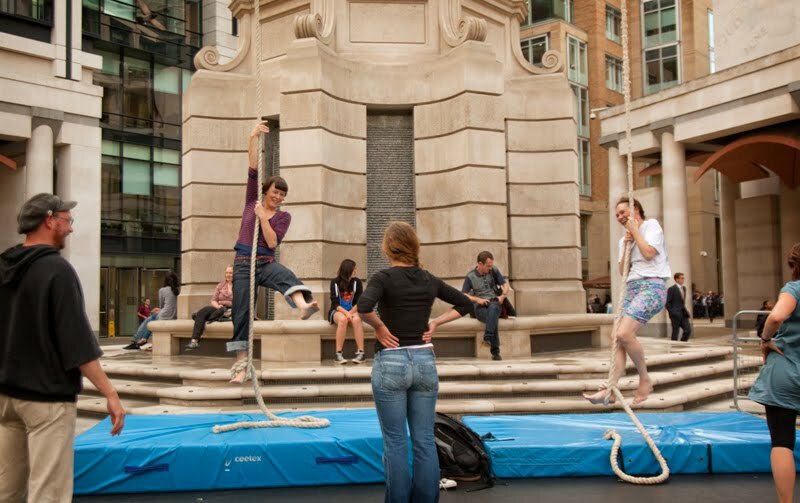 In Paternoster Square (beside St Paul's Cathedral) Ockham's Razor offered hour long workshops. On the left is how it's done. On the right is this woman's very first attempt. Not bad I thought. 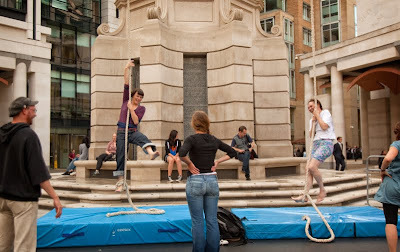 Today at lunchtime and then again at 6pm you can see the real thing as the professionals perform. Actually, no, I haven't had that urge. But if I saw someone acting on the urge, I would have an urge to take a picture.